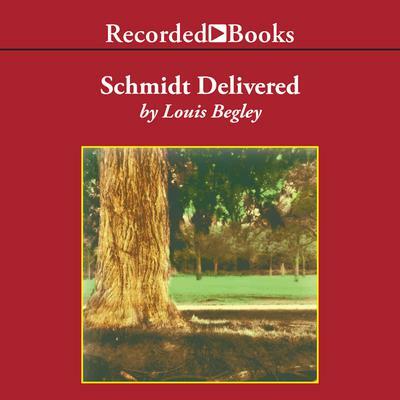 Best-selling author Louis Begley created a beguiling icon of middle age in About Schmidt. Recently widowed, pushed into retirement by his law firm, at odds with his family, Albert Schmidt captivated readers with his cautious courage. Now he is facing ever mounting challenges of life, love, and age. Schmidt is happy living with his affectionate young girlfriend, Carrie. His grumpy daughter, on the other hand, seems to want only money from him. What really disturbs Schmidt, however, is the growing attention of his neighbor, the exotic Michael Mansour. Wealthy and persistent, Mansour seems determined to draw Schmidt into his lavish personal and financial affairs. Louis Begley's aim is perfect as he targets the joys and pitfalls facing our graying hero. Audie Award-winning narrator George Guidall brings out all the wry humor of a man who is fully aware of his flaws and weaknesses, yet remains strong.